Wow it’s definitely been crickets around here lately. I’ll try to fix that 🙂 But here’s a photo from some warmer days when we went to overnight camp in August last year. 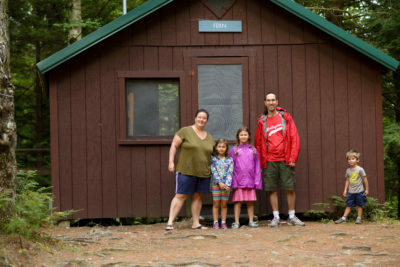 We are standing outside our cabin, three days dirty from the great outdoors. We had loads of fun, but someone didn’t want to be in the picture. You are currently browsing the JenJordi.org weblog archives for January, 2017.